The large garden ongoing project in Surrey continues, with the addition of a water sculpture by David Harber. It was fascinating to watch their installer Dan put it together; it works (phew!) and looks amazing. The rill runs from the terrace to the end of the garden, which will be replanted in spring. Now the pool fountain needs finishing, and the water levels topped up. 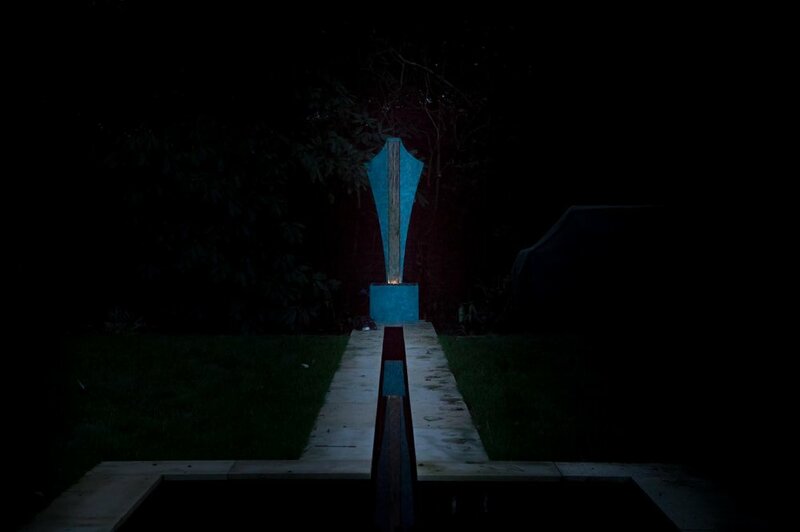 Although it has integral lighting, we will add further garden lights to wash across the sculpture.